Our hunting lodge is a comfortable 4 bedroom/ 5 bathroom facility. We have a large living and dining area, as well as a relaxing front porch where our guests enjoy gathering to relax and reminisce about their hunting experiences. 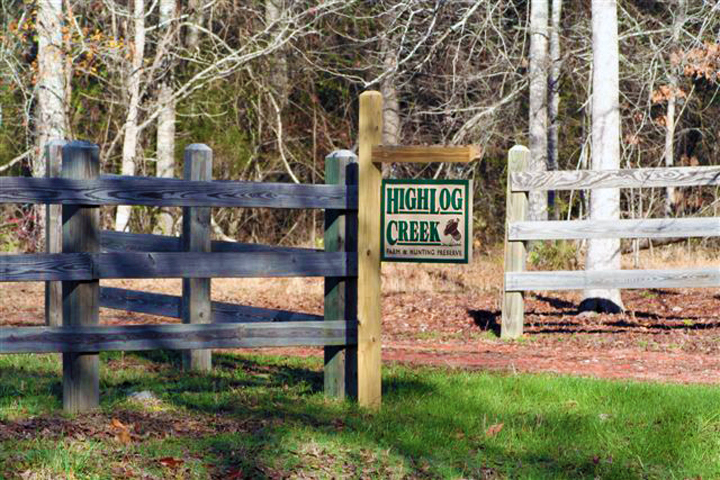 High Log Creek also has the best southern-style cooking that you will find anywhere around. We provide breakfast, lunch and dinner depending on your stay. We promise that you will not leave hungry!